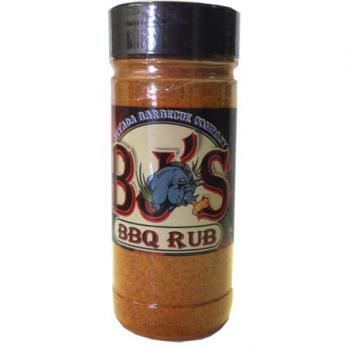 BJ's BBQ Rub comes in a 12.6oz jar and is great to put on ribs, chicken, and beef. 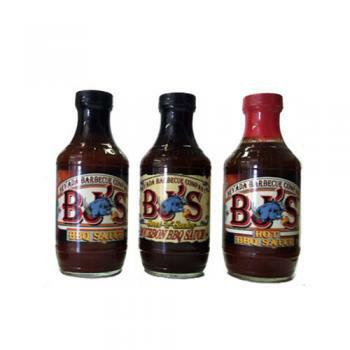 Choose From: BJ's Original BBQ Sauce 18oz, BJ's Bourbon BBQ Sauce 18oz, BJ's Hot BBQ Sauce 18oz. 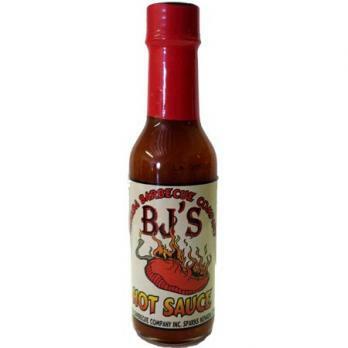 BJ's BBQ Hot Sauce is 5oz and will heat up anything you put it on. 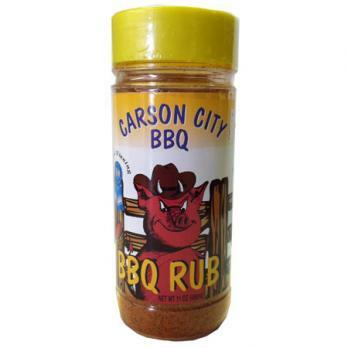 This Carson City rub is 12.6oz. 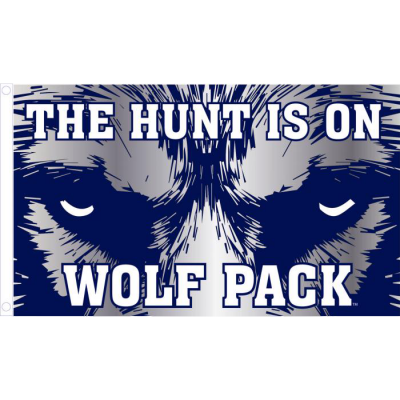 and is great for, ribs, chicken, and beef. 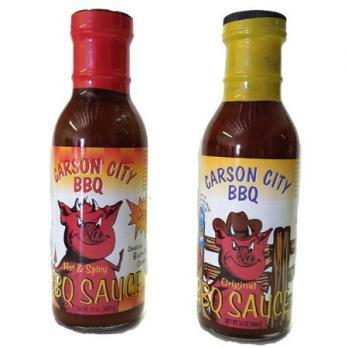 Carson City BBQ Sauce. Choose from: Original flavor or Hot. Both jars are 14oz. 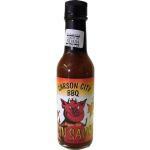 This Carson City Hot Sauce is 5oz and will heat up anything you put it on. 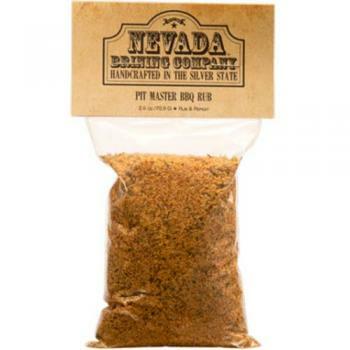 This perfect blend of rich, full-bodied, natural spices gives our "Nitro Rub" it's distinct flavor.This special rub is for all meats. Try it on Meat,Fish,Poultry and anything you want to add that little extra kick too It's the ultimate gift for someone who loves to eat! If you like a touch of sweetness that slowly turns into a spicy goodness – you will love the Sweet Heat! 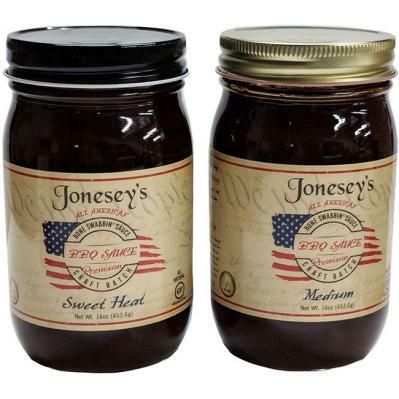 This is another award winning sauce you will find yourself putting on everything! 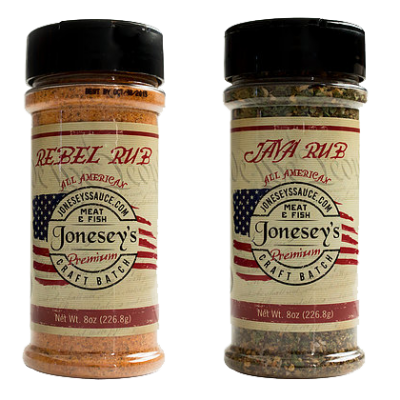 Made with the original Bone Swabbin Sauce, and kicked up with Jonesey’s own blend of chili powders. This one falls right in the middle of the heat scale. This is a pitmasters “Go To” for a touch spice. If you have a Rebellious streak this will be the best way to kick off that next meal. 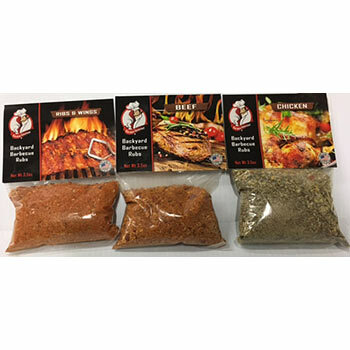 Made especially for Ribs this rub goes great on everything from chicken to fish and even veggies. You can bake it, sear it, grill it, and even blacken it. It is for that professional start to the best meal you’ve made yet! 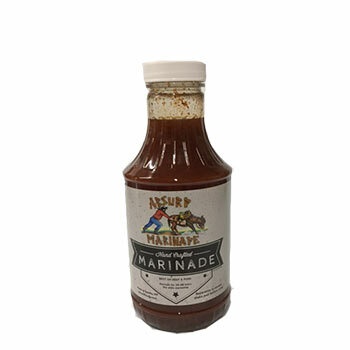 This hand crafted absurd marinade is great on beef or pork. Very flavorful and delicious. 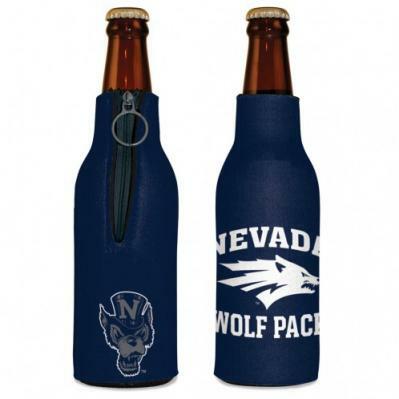 Adds a kick to any meal!